Moulin Rouge is another spectacular nightspot in Dubai that can be found on the ground floor of the Broadway Hotel in Deira, Dubai. 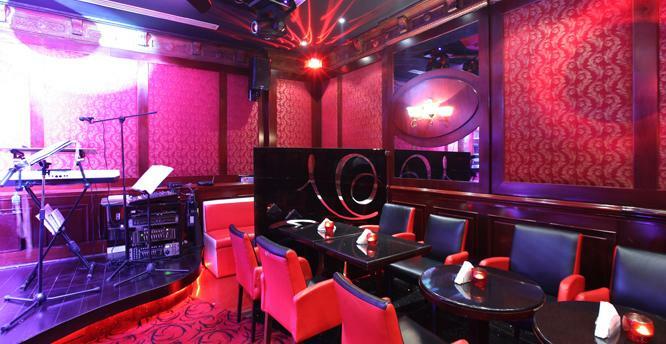 This nightclub is different from the usual discotheques of Dubai, as it not only offers various live performances including belly dancing, but along with it they also serve delicious food and tangy libations to wash down the fare. This three in one quality separates Moulin Rouge from the typical venues. As a result, it receives more customers as compared to its competitors. The seating arrangement and internal decor of Moulin Rouge is also upbeat and cozy. On top of it, vibrant atmosphere of this establishment brings back vim and vigor in exhausted crowd, who come here to spend some leisure time after all day hard work. This Russian night is a mix of nightclub, bar and restaurant, as here guests gets to treat themselves not only with the fine assortment of beverages, but they also savor appetizing food of this establishment. Unlike most of the other nightclubs, Moulin Rouge showcases different performances instead of playing typical Dj music. This live performance begins at 10:30 pm, in which Stars Group amuse the guests by playing different pleasing songs and after that Show Ballet Belly Dancer impresses the crowd with their wonderful recital. Activities at this venue take place between 19:00 hours and 03:00 hours on daily basis. 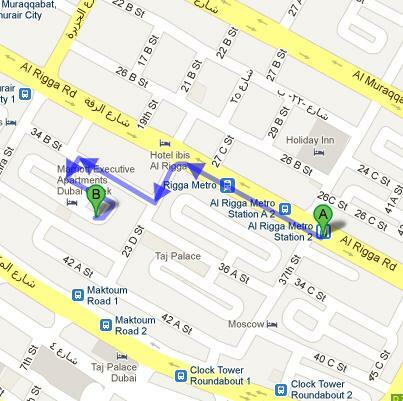 Broadway Hotel, Po Box 62556, Rigga Al-Buteen - Dubai - United Arab Emirates. Al Rigga Metro Station 1 is 850 meters walk from Moulin Rouge in Broadway Hotel that can be completed in roughly 11 minutes. However to do so, commuters need to head northwest on Al Rigga Road towards 37th Street from Al Rigga Metro Station 1, then turn left onto 23 D Street, before making a right turn onto 34 B Street. This will bring the metro users to a left turn, after making that turn they will turn left again in order to spot the destination on the right side. Bus number C9 serves the nearest bus stop of Moulin Rouge, which is called Ghurair City 1 – Dubai. The distance between these two sites is near about 500 meters. So it will take about 6 minutes to complete this walking journey. Only if a bus user heads southeast on Al Rigga Road from Ghurair City 1 – Dubai, then turn right onto Al Jazira Street and afterwards turn left onto 34 B Street. This will lead the bus users to a right turn and after making this turn, they should turn left, to find the destination on the right side. See map for directions.